At America's CU we are always looking for ways to help members improve their lives and make sound financial decisions. 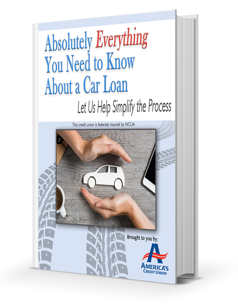 This e-book on Car Loans is our way of sharing our internal expertise on the car buying process so that we can remove the mystery around how to responsibly shop for a big purchase like a car! You can read the guide below, or fill out the form to have a copy emailed to your inbox. Download Your FREE Car Loan Information Guide Now! 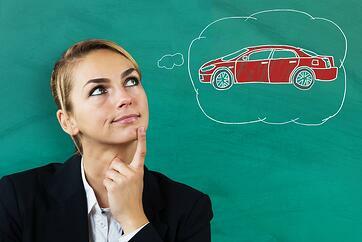 If you need a new car, then you likely also need a new car loan. In 2017, the average purchase price of a vehicle rang in at $31,400, about 56% of the median household income reported by the United States Census Bureau's 2015 data. With car sales in the U.S. continuously reaching new highs, from 2009 to 2016, it comes as no surprise that, in 2017, the Federal Reserve Bank of New York reported a record 107 million Americans with car loan debt – roughly 43% of the U.S. population according to CNN Money. Wow! When shopping for a new car, choosing the right vehicle and negotiating a fair price can be complicated enough. If you also need a loan and it is your first time going through the process, then finding the right lender, the best auto loan rates or even applying for a bad credit car loan can further complicate the process of shopping for a new car. This guide to purchasing a car and taking out a car loan simplifies the process so you can purchase a car with confidence. Read on to learn absolutely everything you need to know – from choosing the right vehicle and best car loans to information on how to get a car with bad credit. Most lenders price loans based on risk. In addition to collateral value and ability to repay, lenders also evaluate potential loan risk by using borrowers' credit scores and credit history. Individuals with the highest credit scores and cleanest repayment history typically receive the best car loan rates because they are deemed less risky borrowers. Paying 7.00% interest, you would have a monthly payment of about $396, and total interest paid would equal about $3,760. Paying 10.00% interest, you would have a monthly payment of about $425, and total interest paid would equal about $5,500. If you have limited credit history or a low credit score, however, you might wind up paying a higher interest rate. Spotty credit, however, does not necessarily mean you will not be able to get a car loan. If you have poor credit, be sure to speak with your lender about how your credit will affect your loan. Be careful that you do not fall victim to a predatory bad credit car loan which charges high fees and astronomical interest rates (double-digit interest rates comparable to those charged on credit card accounts). With an extremely high interest rate, a borrower can end up paying more than double a vehicle's purchase price by the time the loan is paid off. These types of loans also often leave borrowers to face troubling financial situations in which borrowers wind up owing more than their cars are worth, with vehicles breaking down before they are even paid off. With a low credit score, no credit history or a troubled credit history, the smartest plan is to speak with a lender honestly about your credit to find out what you can do to improve your credit score (paying off collection accounts and keeping all payments current) in order to get your loan request approved and be able to access the best auto loan rates. To obtain a copy of your credit report prior to meeting with a lender, visit annualcreditreport.com, where you can print your credit history (without a credit score) for free up to four times per year. Before you start shopping for a car or applying for a credit union auto loan, determine how much you can afford to spend. When looking at a loan application, a lender will calculate your debt to income ratio (the total of your monthly payments divided by your monthly gross income) to determine whether or not you will be able to repay the loan. Divide total debt by total income and multiply the quotient by 100 to obtain a percentage. For example, if your monthly debt payments equal $1,500 and you bring in $5,000, then $1,500/$5,000 = 0.30 and 0.30 x 100 = 30%. Your debt to income ratio is 30%. Use a car loan calculator to experiment with different loan amounts, repayment terms, payment amounts, interest rates and trade in values to determine a loan amount and loan terms that will fit into your budget. Although a 50% debt to income ratio is acceptable, it is not ideal to push your budget to its absolute limit. When considering how much you can afford to spend on a vehicle, do not overlook the cost of operating and maintaining a vehicle, such as insurance premiums, taxes, vehicle registration, fuel, maintenance and repair expenses. Spend as little as you can while still purchasing a reliable vehicle that meets all of your needs. If you have room in your budget, dedicate the excess income to savings, paying off debt more quickly or creating an emergency fund to cover unexpected expenses, like vehicle repairs or medical bills. When buying a new car, it will help keep spending in check to remember the purpose of acquiring that car – transportation. In almost all cases, a car is not an investment. In other words, you will not make money by re-selling your car in the future because vehicle value depreciates at a rapid rate. As soon as you drive your new car off the car lot, it loses value. 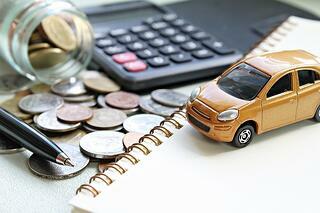 Determining your budget for a car is an important step to make before you begin shopping. Without a budget, you will be easily tempted to over-spend on add-ons and upgrades, the bells and whistles you do not really need to take you to and from work, school, the grocery store or the post office. Repayment terms on car loans typically extend up to five years and, sometimes, longer. So, you want to be sure that you choose a lender you can trust. When selecting a lender for your car loan, look for a person you like, who communicates honestly with you and someone who will be open to working with you in the event of an unforeseen future problem that affects your ability to repay. Although dealerships often offer zero interest financing or attractive cash back offers, they typically make up for this lost income elsewhere. 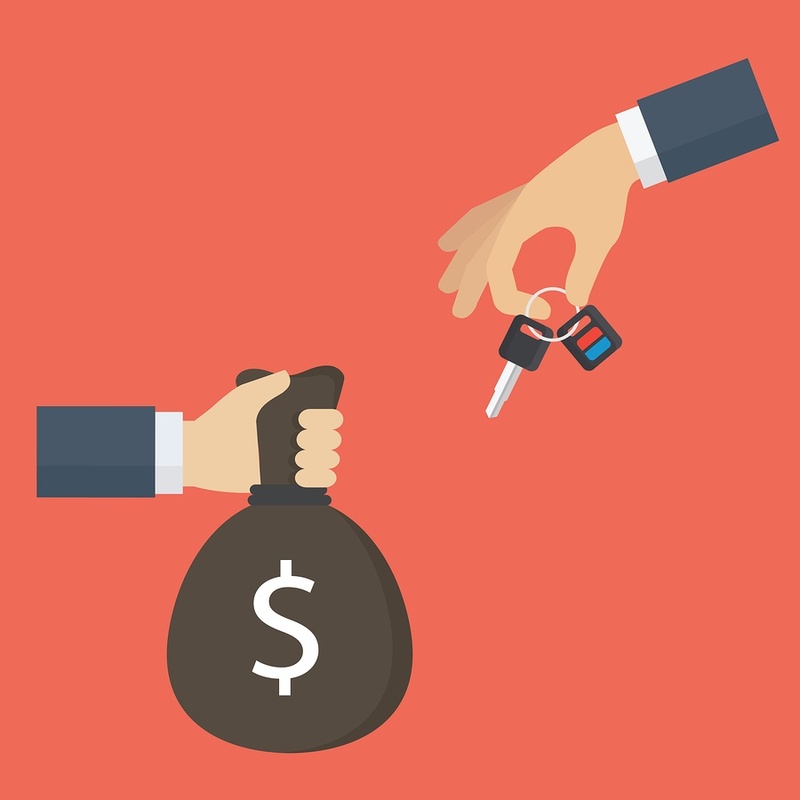 When buyers allow dealerships to finance their transactions, they give the dealership all of the negotiating power by putting them in charge of vehicle price, trade in value and financing terms. Dealerships make up for discounts by charging extra fees, unnecessary packages or in a marked up sticker price. Some dealers target individuals with low credit by offering to approve credit requests while charging exorbitantly high fees. Confusing Terms or Bundled Negotiations - If you are not totally clear how much you are paying for the new or used car, receiving in trade in value, receiving in a rebate and paying in interest, then your dealer might be intentionally bundling costs to muddle how much you are actually spending. Junk Fees - Be wary of any additional fees for items such as theft deterrents or rust proofing. GAP insurance can be helpful because in the event of a total loss, it is designed to pay the difference between what you owe on your auto loan and the value of the car. However, you can get the same coverage at a much better price at your credit union than at the dealer. Legitimate fees include recording costs, lien filing fees and taxes. Ask for any listed fees to be broken down so you can see how a lump sum is being distributed. Abnormally High Interest Rates - If you have poor credit history, you might end up with a slightly higher interest rate than you would with a strong credit score. You should not, however, have to pay an interest rate comparable to that of a credit card. Time-Sensitive Offers - Less reputable sellers often try to make potential sales by pressuring buyers with offers and deals that are only made available for a limited time. If you do not have time to sleep on a decision, then say no. Promises That Sound Too Good to Be True - Trust your gut. If you instinctively feel like a deal is too good to be true, then it probably is. In this case, ask a trustworthy and knowledgeable friend for a second opinion or run the prospective deal by a representative at your credit union. In addition to protecting you from incurring hidden or misleading fees, obtaining financing outside of the dealership will also give you more negotiating power on the car lot and prevent you from over-spending since your budget will already be set. Credit unions can typically offer members more attractive interest rates on loans than banks or other financial institutions because they are structured differently, being member-owned. Apply for pre-approval on a vehicle loan in the amount determined by your budget before you even begin shopping. If you have items in your credit history which need to be satisfied before you qualify for a loan, apply for pre-approval once you have brought past due accounts current and have paid collection accounts. This will help you obtain lower rates on a credit union auto loan. Once pre-approved for a car loan, you will be ready to begin shopping. Maybe you already have a particular vehicle in mind, but if you are like many individuals purchasing a car for the first time, then you probably feel overwhelmed by the sheer number of options on top of options available online, from individual sellers and in local car lots. 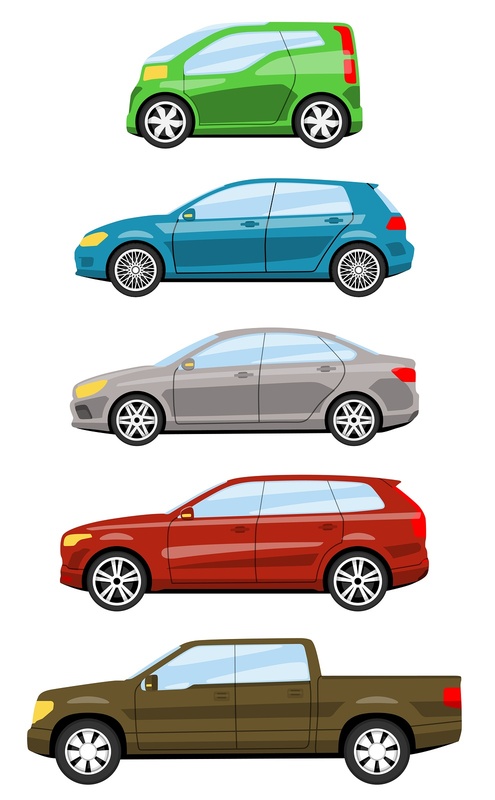 Initially, it is best to narrow your search to a particular style of vehicle: sedan, truck, SUV, cross-over, hatchback or sport. Once you have an idea of what type of car will best fit into and accommodate your lifestyle and needs, then begin narrowing your search by comparing individual manufacturers, models and features. How many passengers will you need to accommodate? Do you have an infant or small child with a car seat? How much cargo do you typically carry? Do you prefer an automatic or manual transmission? In what sort of climates do you drive? Do you need a vehicle with 4-wheel or all-wheel drive? How powerful does your engine need to be? Is fuel economy a priority? Do you want to purchase a new or used vehicle? How much can you afford to spend on regular maintenance or parts replacement? No matter how you answer the previous questions, safety and reliability are major concerns for every person shopping for a new vehicle. For accurate data on vehicle reliability, take a look at the reliability surveys published by Consumer Reports, which detail top and bottom performers. If purchasing a brand new vehicle, keep in mind that there will not be much available information regarding vehicle reliability. To find reliable information on the safety ratings of different vehicles, you can visit the Insurance Institute for Highway Safety - Highway Loss Data Institute or safercar.gov, a vehicle safety rating website sponsored by the National Highway Traffic Safety Administration. NADA Guides allows you to search vehicles based on your needs, wants and limitations with their handy online Car Finder Tool. You can also utilize NADA to search regional vehicle values based on the car's year, make, model, upgrades, features and miles. 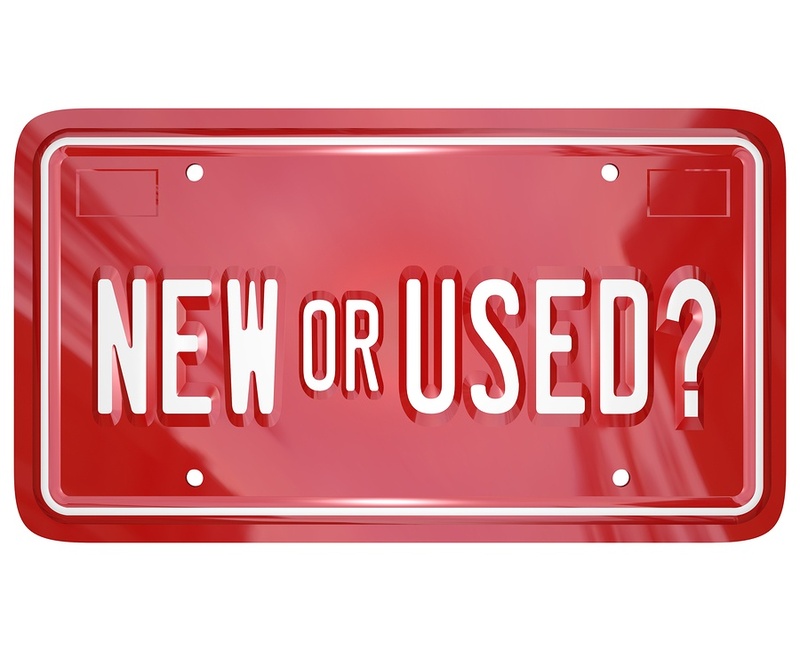 New vs. Used: Which Works Best for You? New vehicles feature the latest technology. The newest models typically have the best fuel efficiency. You know the car's complete history and will have access to recall information with part replacements. New vehicles come with a warranty, which typically lasts for the first three years or first 36,000 miles. You will be able to find the exact car you want, specifying the color, bonuses and upgrades you prefer. Although it has lots of advantages, purchasing new does not come cheap. In addition to paying higher sticker prices, you will also owe more in taxes and can expect to pay higher insurance premiums. According to U.S. News, the value of a new vehicle can drop as much as 20% the moment it leaves the car lot, meaning that if you do not put at least 20% down on the purchase, you will already owe more than your new car is worth. If you purchase a used car, the first owner will be the one to absorb a substantial portion of the vehicle's depreciation. Purchasing used comes with benefits, too. Since used vehicles have lower sticker prices, you can choose to spend less or comfortably purchase a nicer car. Taxes and insurance premiums on pre-owned cars are usually lower, too. If you decide to purchase used, however, you will need to do some research to be sure you are getting a quality car and not taking on the previous owner's car problems. Order a thorough vehicle history report from a company like Carfax, and pay for an independent mechanic to perform a pre-purchase inspection. Purchasing used, you will also not be able to select the exact features you want inside your car, and your car likely will not have a warranty – unless you find a certified pre-owned vehicle. When you apply for a vehicle loan, you will need to fill out a loan application. You don’t have to come in to the credit union to do this. Many credit unions offer the convenience of online applications on their websites. Click here to apply online at America's Credit Union. Along with your completed loan application, your lender will also need a copy of your driver's license or other state-issued identification, employment verification and proof of income, such as copies of check stubs or a copy of your most recent tax return. Pictures or scans of these items can be attached to an online application. 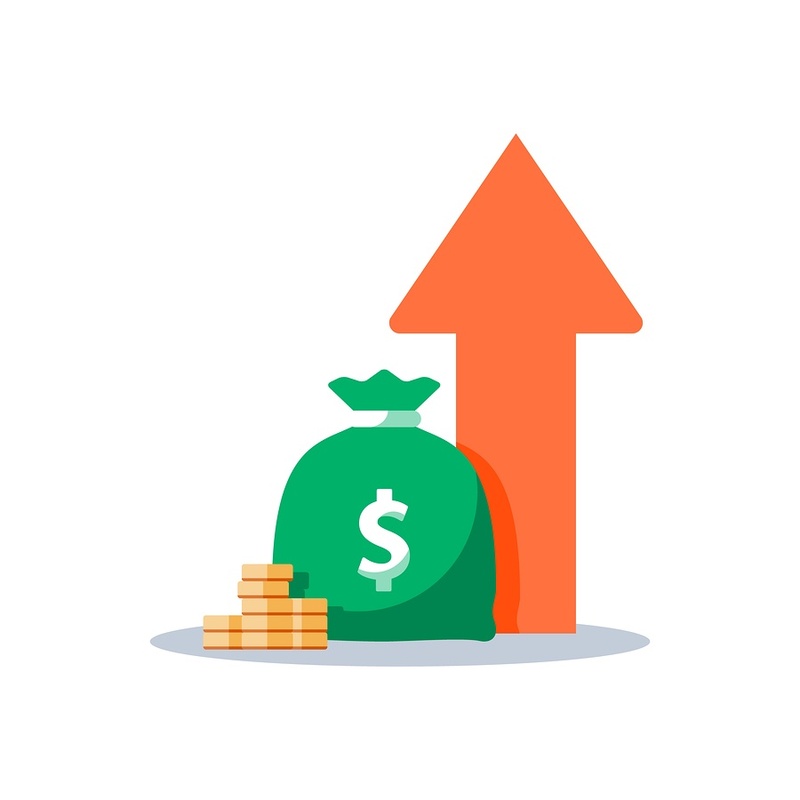 If you have received a raise since your last proof of income, be sure to notify your lender since this could affect his or her assessment of your ability to repay the loan. If you have any accounts on your credit history which incorrectly reflect that they are past due or unpaid in collections, your lender will also likely request that you provide proof of payment. When you have found the vehicle you want to purchase and have agreed upon a sales price, your lender will need a copy of the signed purchase agreement from the dealership. If you are working with a private party, then your lender will need a copy of the vehicle's title in order to complete loan documents and perform a title search, which verifies current ownership and ensures there are no outstanding liens from the seller's lender remaining on the title. In other words, no lien means the vehicle is not currently being held as collateral on a different loan. If your lender's search uncovers an existing lien filing, the seller will need to obtain an original lien release from their lender in order to provide you with a clean title, ready for transfer. Your lender will also most likely require proof of insurance either prior to the date of your loan closing (the day you sign documents) or at closing. Most vehicle loan agreements require that the borrower purchase and maintain full insurance coverage on the vehicle being purchased. Your lender will have you request that your insurance company list their financial institution as lien holder or certificate holder on the policy. By doing so, your insurance company will automatically notify your lender of any changes, renewals or cancellations on your policy. If purchasing your vehicle through a dealership, the dealership's staff will probably handle the title transfer. If you are purchasing a vehicle from a personal party, then you, the seller and your lender will be responsible for handling the title transfer. Documents required for transferring a vehicle title to a new owner's name differ based on local laws, but typically you will need the signed and notarized title and a bill of sale. Getting a car loan means opening up more than two or four doors; owning your own car also opens doors to mobility, autonomy, convenience and the ability to be more effective in your life. Whether commuting to work, traveling to visit friends and family or taking your children to their many activities, owning a car gives you reliable transportation whenever you need it, why-ever you need it. Throughout the entire process of purchasing a new car – from shopping to signing – the finance team at America's Credit Union is here to help. Whether you need advice on how to get a car with bad credit, pointers on obtaining the best car loan rates, or even coaching on negotiating with the dealer, our lenders have the experience and knowledge to help you get the vehicle you need with the best car loans. For more information or to learn how to apply for a credit union auto loan, contact us today. We look forward to helping you purchase a new car with confidence. Garcia, Ahiza. "Car sales set another U.S. record." CNNMoney. January 4, 2017. Accessed March 03, 2018. http://money.cnn.com/2017/01/04/news/companies/car-sales-2016/?iid=EL.